Immigration Jam was held on August 21st and 22nd, 2010 at the Singapore/MIT GAMBIT Game Lab and hosted by Alex Schwartz and Darren Torpey. Try to get as many immigrants safely across the Mexican/US border by navigating your truck across the hazardous terrain. 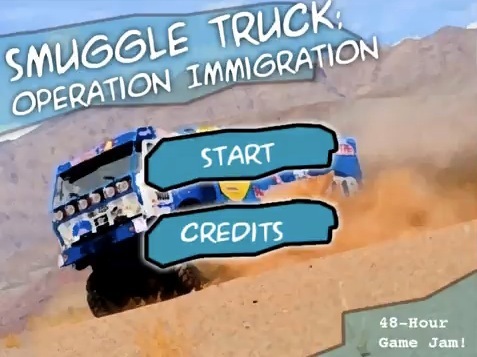 Alex and Yilmaz have formed their own games company and intend to release a fully fleshed-out version of Smuggle Truck as their first game. To learn more about Smuggle Truck, visit the Owlchemy Labs website or follow their progress on the Owlchemy Labs Facebook page. 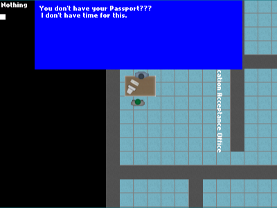 Play as a newly arrived immigrant to America as you attempt to obtain all the correct paperwork and pass your way through customs.